Valentines Day, I Love you! Requirements: Compatible with iPhone, iPod touch (2nd generation), iPod touch (3rd generation), iPod touch (4th generation) and iPad.Requires iOS 2.0 or later. We live such a busy and hectic life that simple details of affection have been replaced! We live once, and need to make sure our loved ones are constantly reminded how we feel! 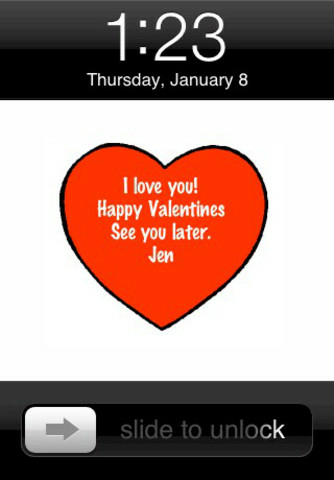 Wouldn't it be nice if you could send love messages via your iPhone, without the cost of a text message? 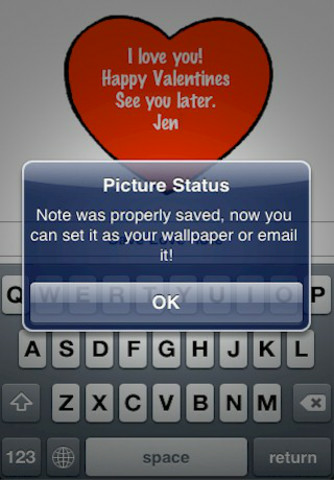 Wouldn't it be nicer if these messages could be placed as a wallpaper in their phone, so they are constantly reminded? This application works as simple as writing the text you wish to send, and it is automatically placed over the heart background. 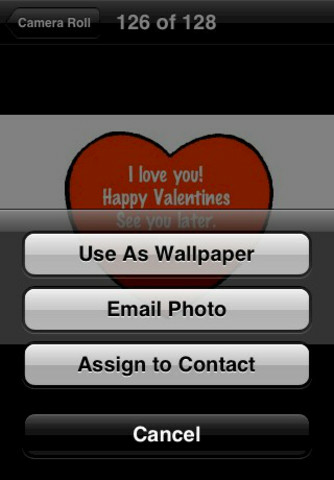 It is then sent as a regular email with an image, and the recipient can optionally save it as a wallpaper so they can see it every time they touch their iPhone. We are constantly working on newer versions of our applications, if you have any suggestions or comments please let us know. 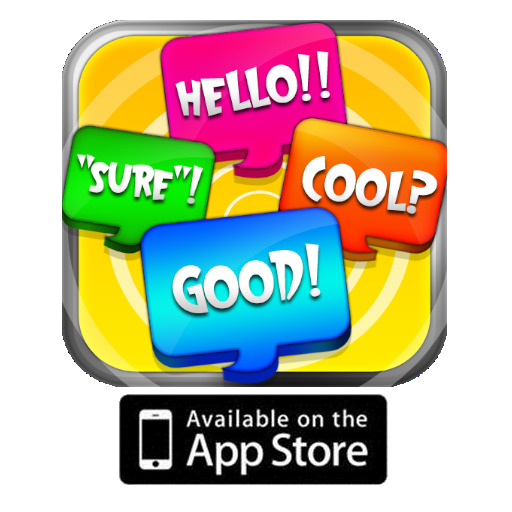 Images speak louder than words, please check our application previews.